A kind, bookish only child born in the 1940s, Alice Lindgren has no idea that she will one day end up in the White House, married to the president. In her small Wisconsin hometown, she learns the virtues of politeness, but a tragic accident when she is seventeen shatters her identity and changes the trajectory of her life. More than a decade later, when the charismatic son of a powerful Republican family sweeps her off her feet, she is surprised to find herself admitted into a world of privilege. 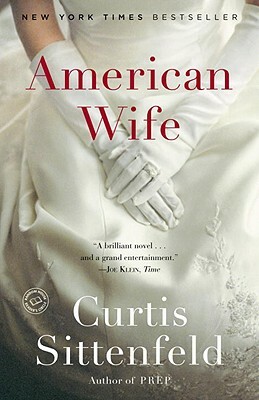 And when her husband unexpectedly becomes governor and then president, she discovers that she is married to a man she both loves and fundamentally disagrees with–and that her private beliefs increasingly run against her public persona. As her husband’s presidency enters its second term, Alice must confront contradictions years in the making and face questions nearly impossible to answer. “A well-researched book that imagines what lies behind that placid façade of the first lady…Ms. Sittenfeld was not out to sensationalize but to sympathize.